Today in Masonic History John Henry Eaton passes away in 1856. John Henry Eaton was an American politician. Eaton was born on June 18th, 1790 near Scotland Neck, Halifax County, North Carolina. He attended the University of North Carolina at Chapel Hill where he graduated. After graduation he passed the bar and became a lawyer. He also served during the War of 1812. 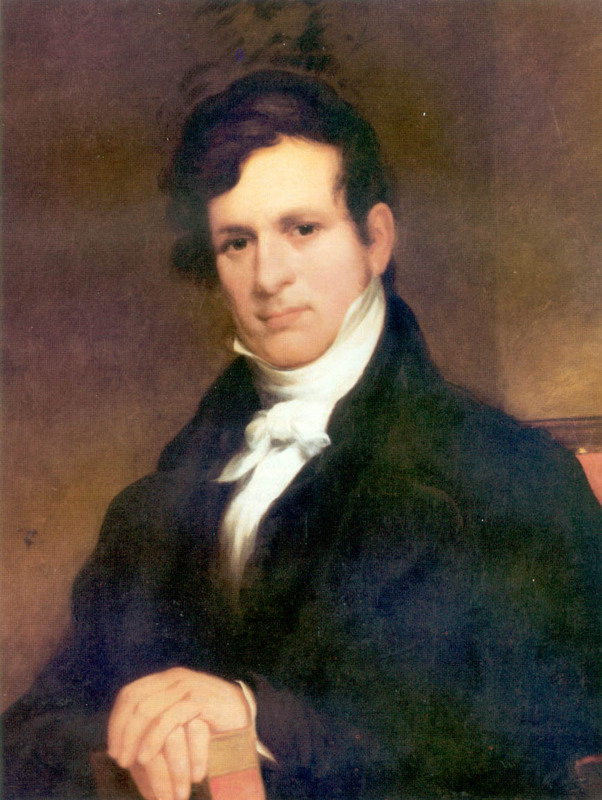 In 1815, Eaton was elected to the Tennessee House of Represetnatives serving until 1816. In 1819, Eaton was elected to the United States Senate. At the time time he was only 28 years old and despite the Constituational requirment that a person be 30 years old to serve in the United States Senate, he was permitted to serve. He served in the Senate for 11 years resigning in 1829. Eaton was a close personal friend of Andrew Jackson. When Jackson became President, Eaton became part of Jackson's inner circle of advisors. The group was referred to by opponents as Jackson's "Kitchen Cabinent." It is claimed that the group often had their meetings in the White House Kitchen. Eaton's personal life is probably his biggest claim to fame. Eaton was the central figure in what is known as the Petticoat Affair. In 1829, when Eaton resigned from the Senate it was take the position of Secretary of War in the Jackson administration. It was at this same time that Eaton, a widower himself, married Peggy O'Neill Timberlake. Peggy had been married to John B. Timberlake a man 22 years her senior. Timberlake passed away in 1828. To the Respectable Women of Washington social circles this was unacceptable behavior and the Eatons were snubbed in Washington society. There were even rumors that the Eaton and Peggy had an affair prior to the passing of her husband. Making matters worse politically the woman leading the charge against the Eatons was Floride Calhoun, wife of the Vice President. The infighting and bickering among the wives spilled into Jackson's Cabinent. Eventually Jackson had no choice but to demand the resignation of all of his Cabinent members including Eaton. Eaton was given two posts by Jackson to keep him away Washington. The first was the Governor of the Floriday Territory from 1834 until 1836. He was then made the United States Minister to Spain. He served in that position until 1840, which was well into Martin Van Buren's Presidency. Van Buren and Eaton were friends and served in Jackson's Cabinent. Van Buren was one of the Cabinent members that came to Eaton's defence. Eaton passed away on November 17th, 1856. Eaton was a member of Cumberland Lodge No. 8 in Nashville, Tennesee. He was elected an honorary member of Federal Lodge No. 1 in Washington, D.C. He was also an honorary member of the Grand Lodge of Florida.